A large area has been carved out in front of the pair of drifts, although it is extremely clogged with water and debris. Heres the most southerly drift nearest to the waterfall. The northerly drift is just as water logged. A number of the mines in this area were buried by a huge landslip in 1864, its is still very apparent today and covers the tramway by the riverside too, I located one drift below a small outcrop, although its difficult to reach. The drift has wellington height water in the bottom, so on my first visit I was unable to go further than the entrance. However on my return visit I was able to explore around the corner, although unfortunately it doesn’t continue very far. The tunnel ends with a neatly cut face rather than a collapse suggesting it was some sort of trial rather than a worked area. 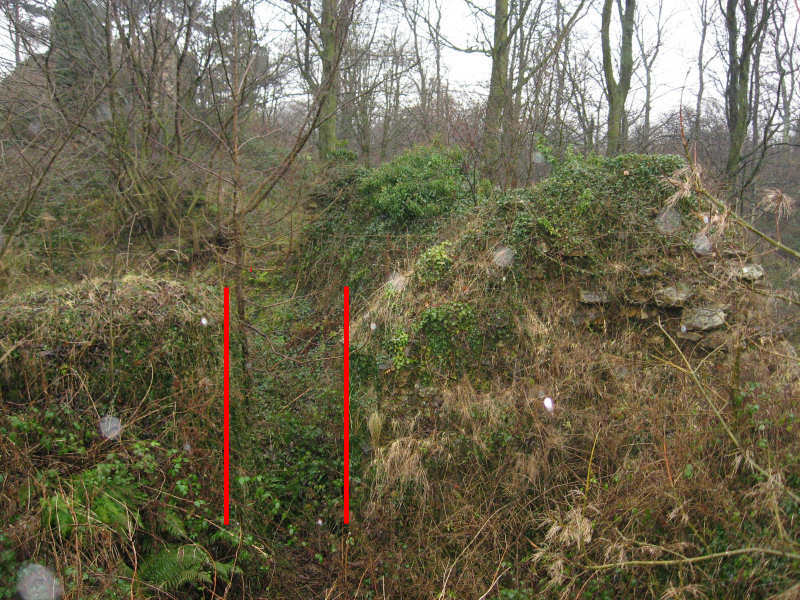 The actual mine was located on the eastern bank of West Beck, but there are more remains on the western bank, the base of a bridge which one carried a tramway still remains. Tramways converged here from mines in Coombs Wood, Hollins Wood and Carr Wood then crossing the river to the calcining field. Adjacent to the bridge base is a waterwheel pit clogged with mud and debris, and the remains of a building. This is my first third party contribution courtesy of barender and redpete from redcar.net so many thanks to them for the photos and information. Click on the small thumbnails for bigger photos although not from the usual Flickr. First things first, this site is on private property belonging to Skelton Estates and they had permission to visit it. If you intend to visit, make sure you get permission too. 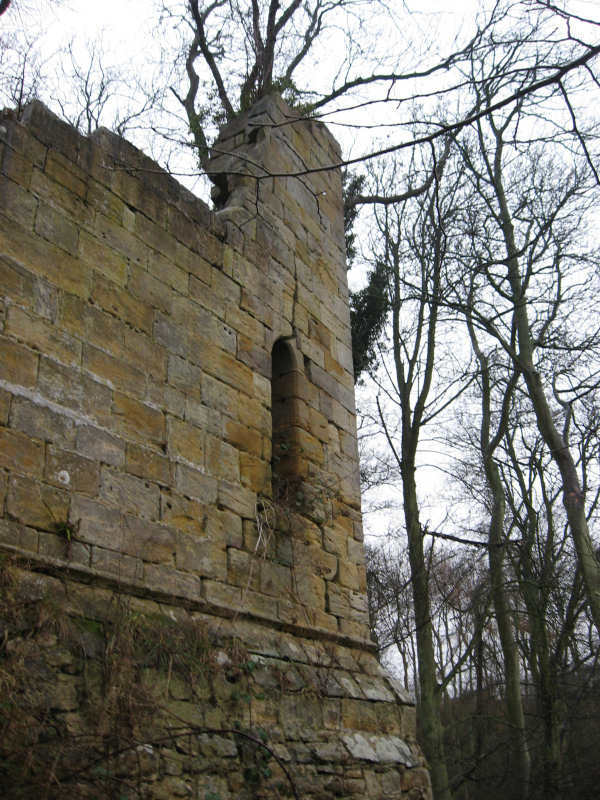 The remains visible are of a castle built between 1190 and 1200 by the Kilton family on a long promentary overlooking Kilton Beck. 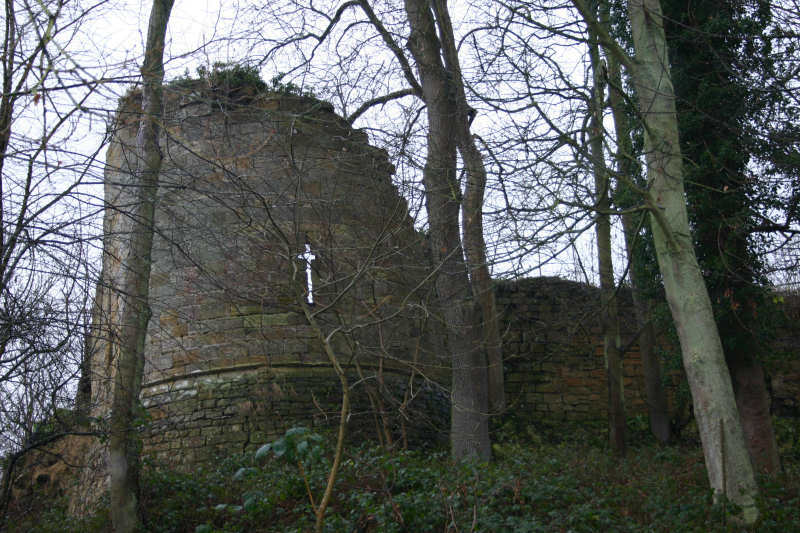 By the mid 1300s it had fallen out of use and was totally abandoned by the 16th century. The area covers approximately 100m x 30m and has been heavily robbed out over the years. 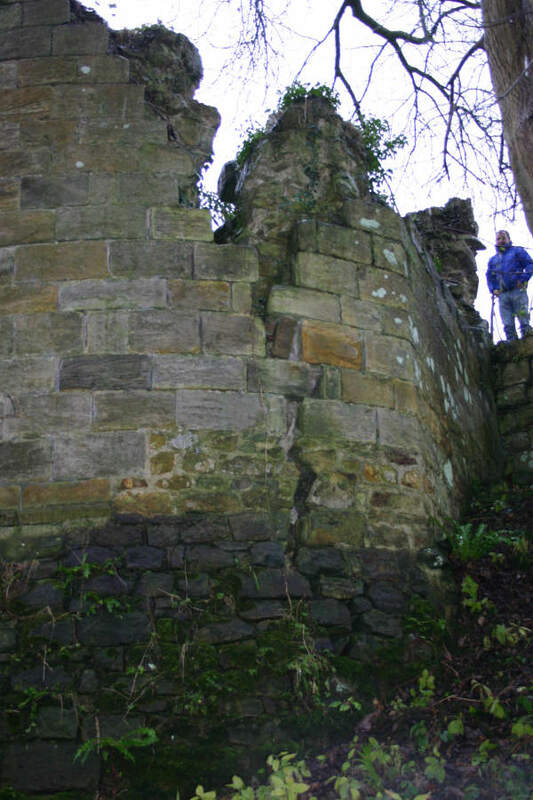 The eastern tower contains a crossbow window, and a huge crack that will eventually lead to its demise. Here are some shots of the same area internally. 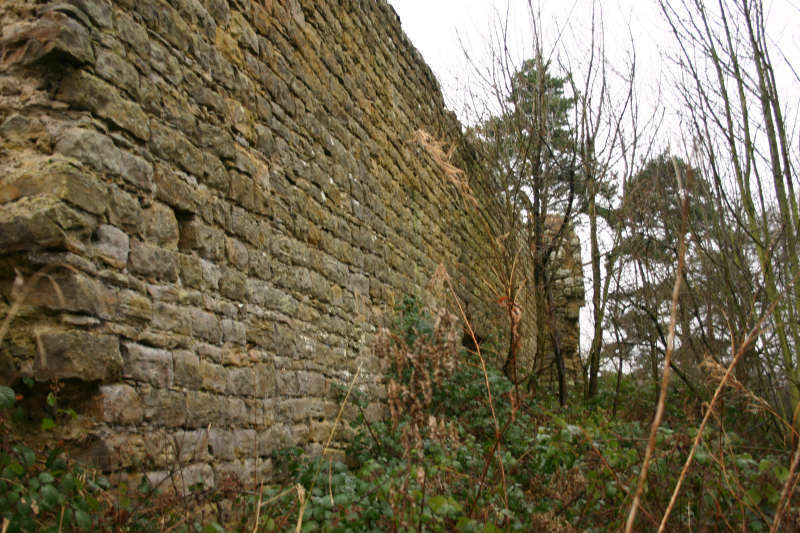 A stretch of the northern wall still remains. 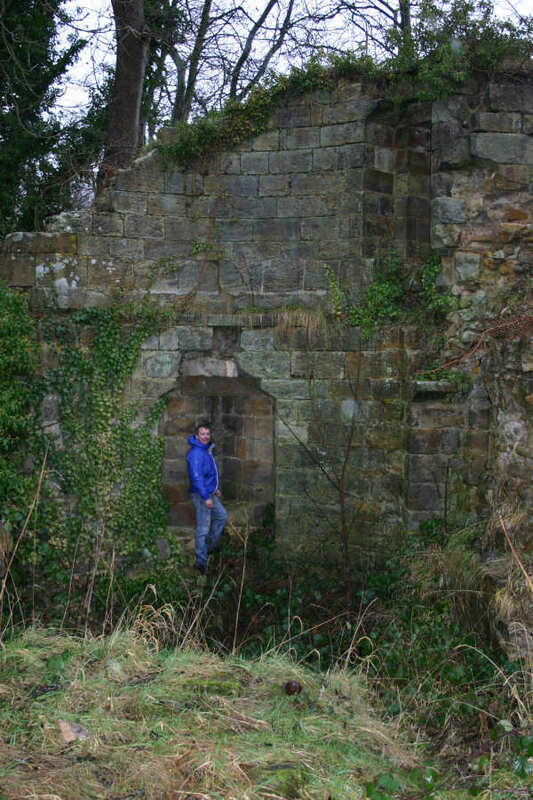 Some doorways are still visible in the heavy undergrowth now covering the internally structure, one has been highlighted for us here. Also the remains of a well are visible inside. Tees Archaeology has a huge amount of detail on the castle. Firstly if you intend to visit this site double check the tide tables before setting off, to give yourself enough time to get there are back and avoid an air-sea rescue. The cliffs are also very unstable we heard numerous small rock falls and you don’t want to be underneath one. There are numerous caves and what looks like the remains of a ships boiler on the the way around from Cowbar. The remains of the 17th Century Alum Tunnel were revealed by coastal erosion in the 1990s. Subsequent landslips and erosion are rapidly removing the tunnel at a rate of several feet per year, and its only a matter of time before a further landslips buries it, or its completely lost to the sea. The left-hand tunnel is now eroded nearly all the way back to what looks like a wall, it appear to be built against this wall, rather than actually being a blocked entrance although I cannot be certain if there is another tunnel behind or not. The outside edge of the inner course of bricks has been recently exposed to reveal symbols (perhaps masons marks, or maybe even something to indicate the order of construction ?) A row of bricks is also visible under the tunnel base. The right-hand tunnel is open and contains the remains of sleepers and rails as well as a large pile of washed in stones and debris. Shortly after the pile of debris the tunnel opens into a slightly wider area with a large room off to the right hand side. At this point there is a very large roof collapse with a chasm open in the cliff above, knowing the instability of the cliffs I though it wise not to progress any further, despite the tunnel looking in good condition further on. Tracks can be seen leading off into the distance after the collapse, they would presumably at some point connect with a shaft from the Alum Works at the cliff top. For anyone intending visiting I cannot say enough times, always remember this site is extremely dangerous. Sherriffs Drift was originally a trial that only worked a couple of year around 1857. 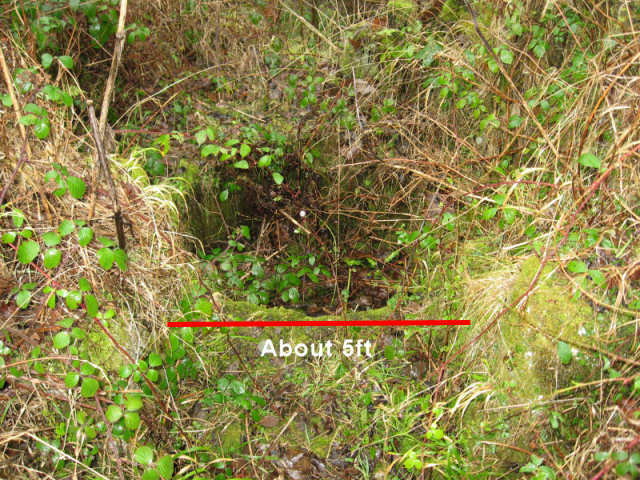 After the sinking of the shaft at Sheriffs Pit in 1875 it was connected to the drift to provide access for men and horses. I was unable to spot the actual drift entrance, although the cutting of a tramway into the hillside was still visible. The 16 arches of the old kilns are as prominent in the valley as the new kilns also being around 90m long. There are 4 kilns with 4 arches each, the arches are about 4-5m wide. The upper parts of the kilns have gradually collapsed and are spilling out through the arches. Above the arches is a ventilation chimney associated with the mine, which stands 7.5m high with a small door at the base allowing a view inside. The three large bays of the calcining kilns are about 90m long and can be easily seen from all around the valley. The iron ore mined here was carbonated which required calcining before smelting. 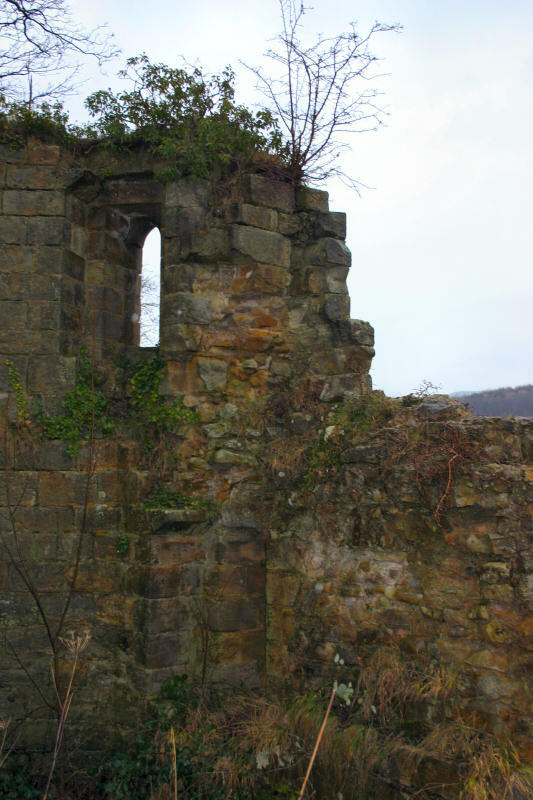 In one of the bays the retaining wall which looks to have been anchored with large wires has collapsed, the faces of wall were once lined with wrought iron which was removed when the mine was abandoned. Ironstone and coal would loaded into the top and calcined ore drawn out from the bottom, It has been estimated that each kiln could produce around 2000 tons of calcined ore a week using about 80 tons of coal. In a more complete bay the top courses of fire bricks are balancing precariously on small pins. There are four small tunnels / flues entering the faces of the bay at the base. The remains of a house complete with chimney and fireplace still stands by the track before New Kilns.